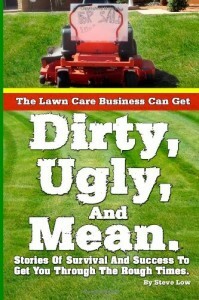 « Worrying about cutting my lawn care crew loose. 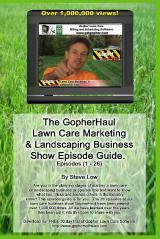 It’s every new lawn care business owner’s dream to have all the growth they could ever want and then some. If a little is good then more is better right? 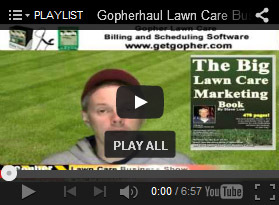 Well that is not the case as we will see from this discussion on the Gopher Lawn Care Business Forum. 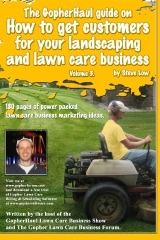 There is a healthy growth range you can shoot for that should allow you to expand but not so much that you lose control of that beast your business can become..
One lawn care business owner wrote “I am just wondering what is the maximum amount of work I should take on. 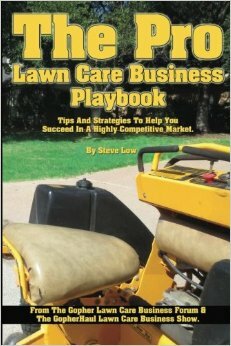 This is my first year owning a lawn care company and I am 8 months in. 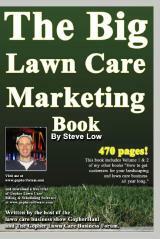 I started with 4 mowing accounts and now I am just under 60. I am at the point where my website and word of mouth have brought in so much business that I am having to drop some of my residential customers to make room for the commercial customers that pay more. 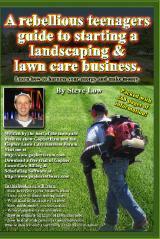 When I first started, I set a $35 minimum fee per yard mowed. I am at the point now where I dropped all of those and my cheapest yards are around $45. However, I had 4 different commercial company’s call me this week for bids. I have already gone out and walked the properties and if I get any of them I am considering dropping about 30 of my residential customers to make room for these big properties. I will also need to probably hire two full time employees, buy another truck, two z-turns, two more combi-tools, and another leaf blower. I am trying to figure out if it will be worth it to keep my current lawn accounts and pay these guys to cut them for me or to drop them and not have to pay. The commercial bids were $500/month, $1500/month, $4500/month, and $1200/month on bi weekly schedules. 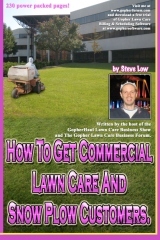 None of the commercial properties need landscaping. Just a bunch of mowing, weed eating, and spraying. 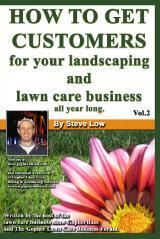 My initial business plan basically was to turn a profit within the first year. I wanted to pay cash for everything, get my foot in the door, and see if this was something I thought I could be successful at make money with. My plan also includes the freedom to explore other entrepreneurial avenues within my company which means I want to build the company to the point of having a crew to do the actual work while I am out bringing in business and making sure they are ready to do the work. As of now I have a guy working with me twice a week and I am paying him $12/hr cash. He is a hard worker and I can count on him to get the work done by himself if I have to run and take a look at a property across town or have to leave him for any other reason. If I hire two full time lawn care employees I will most likely have to lower the hourly rate a bit but I am unsure what a fair price would be for a guy working out in the sun 40 hours a week. I refuse to hire somebody I don’t know or trust, so with that being said I do not mind paying well as long as I know the work will be done the right way. 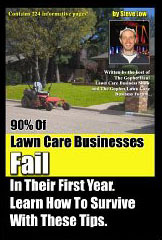 A second lawn care business owner said “early on within your first couple of years you may see a lot of growth because your business is scaling up to operate at it’s capacity. Once you get to the point where you can not take on anymore work, if you are growing 10% a year that is good. If you are growing upwards of 20% a year, you run the risk of imploding both financially and managerially. To fund the growth, you will need to have money. 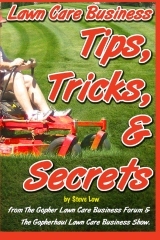 Get too many lawn care accounts at once that require more equipment than you have and you will need to buy more equipment. You will need to hire more employees. If this growth comes too quickly, you won’t have the money to fund it. You will also not have enough experience to know how to manage and oversee any staff you employ. Simply hiring people and sending them out unsupervised in their own truck to mow a route will lead to disaster. All staff will need to be supervised. 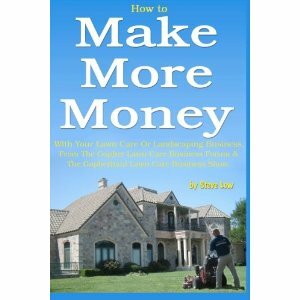 You will also need to learn how to properly account for how much money you are spending to keep your business running. 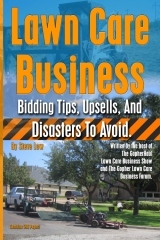 You will need to know how to accurately bid jobs to cover these expenses plus make a profit. If you grow too quickly, you run the risk of not seeing your true total expenses and that will lead to a financial implosion. 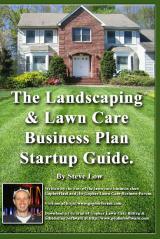 This entry was posted on Thursday, February 19th, 2015 at 4:01 am	and is filed under Business Failure, Business Plan, Growth, How to Estimate - Services To Offer, How to Estimate Jobs, Lawn Care Business, Lawn Care Customers, Lawn Care Employees, Operational Costs, Overhead Costs, Pricing, Start up, Trials and Tribulations. You can follow any responses to this entry through the RSS 2.0 feed. You can leave a response, or trackback from your own site.